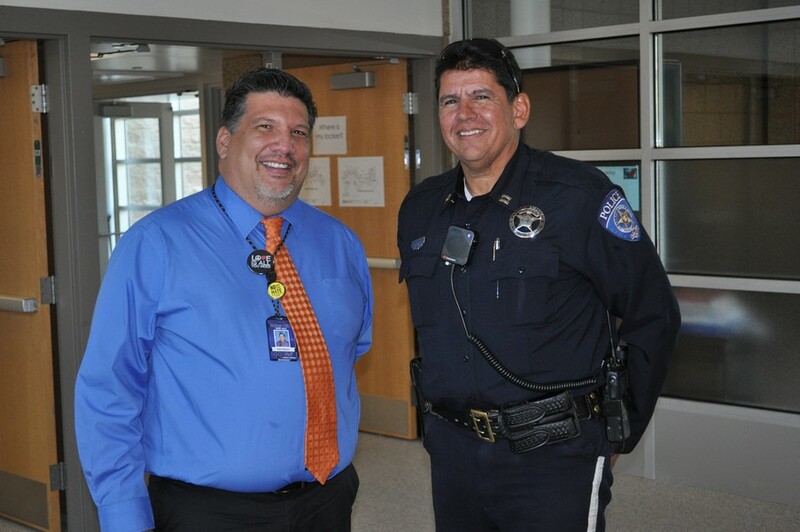 Sam Salinas, assistant principal of Ecker Hill Middle School, and Park City Police Captain Phil Kirk are working to grow the Watch D.O.G.S. program, which focuses on getting fathers involved at their childrens school. The program currently operates at Ecker Hill, but Kirk intends to duplicate it at Treasure Mountain Junior High School. Students at Ecker Hill Middle School became used to seeing Phil Kirk, a Park City Police Department captain, around campus last year. But it wasn’t because they did anything wrong. Kirk was a parent who participated in Watch D.O.G.S. (Dads of Great Students), a program aimed at increasing the engagement of fathers at Ecker Hill. By the end of the year, he saw firsthand the value of being involved at school and seeing his child in another setting. Parents met Watch D.O.G.S. 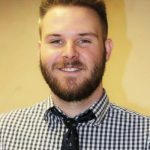 — which is an affiliate of a national program but sponsored by the Park City Education Foundation — with enthusiasm after its creation last school year, and Ecker Hill officials are hoping for even greater involvement this year. Assistant Principal Sam Salinas, who spearheaded the program, said the idea is to make it as easy as possible for dads to pitch in. They’re asked to spend just one day throughout the year volunteering at the school. Salinas added that dads often feel out of their element, unsure of their role, at their children’s school. Watch D.O.G.S. remedies that by ensuring activities are planned in advance for each father, often tailored to their backgrounds or interests. Pairing dads with their passions works out well for teachers, too, Salinas said. For Kirk, the set-up worked perfectly. He was rarely able to devote a whole day to volunteering, but instead came in often during lunchtime. Before long, the students began getting excited when he’d show up, and the visits became an important part of his regular routine. But beyond the school reaping the benefit of volunteer man hours, Salinas said it’s tough to underestimate the impact fathers can have by being active in their children’s education during the middle school years. It’s a critical period of growth for the students that goes a long way to determining their futures. Ones who have involved parents are less likely to participate in risky behaviors and are more likely to stay in school. Unfortunately, however, middle school is when parental involvement tends to decrease, Salinas said. Watch D.O.G.S. aims to reverse that trend and change the lives of students in the process. Last year, more than 100 dads participated in the program, and Salinas is hoping for an even better turnout in its second year. And now that his son moved up to Treasure Mountain Junior High School, Kirk is working to start a similar initiative there. Dads who are interested in participating in Watch D.O.G.S. can learn more by visiting the Ecker Hill website, ehms.pcschools.us. For those interested in helping coordinate the program this year, an orientation meeting is scheduled for Sept. 6, from 12:30 to 1:30 p.m. For all other dads, a kick-off pizza party is set for Sept. 14, from 6 to 7 p.m.